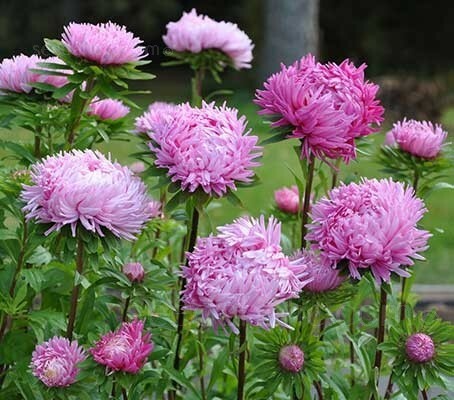 Callistephus chinensis, commonly called China aster, is a popular annual that provides showy, 3 to 5 inch diameter blooms from early summer to autumn on plants clad with ovate, toothed, medium green leaves. 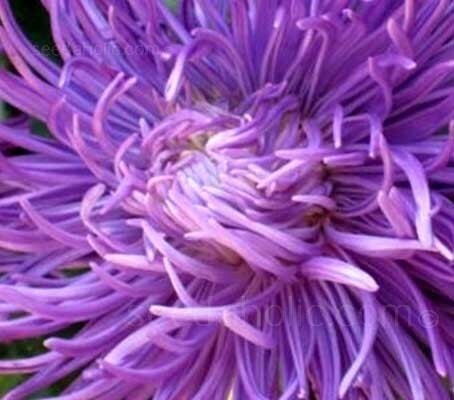 These fast-growing plants produce large, fireworks-like blooms that are easy to grow and ideal in cut flower arrangements. 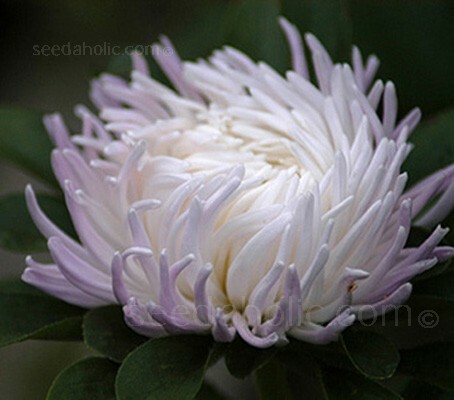 Callistephus chinensis 'Tiger Paw Pavlova' Mix has to be a contender for the title of 'The Most Elegant Aster' in the garden or in the vase. 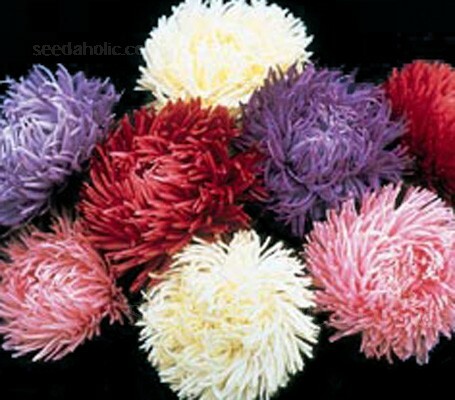 It boasts huge 9 to 10cm (3½ to 4in) blooms with brightly-coloured fine petals, each arranged in a swirling pattern.